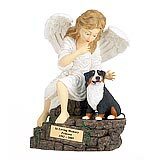 "I wanted to let you know I received the angel urns today. 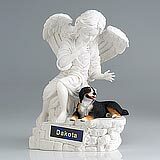 Honestly, the pictures on the web site does not begin to Show the real beauty of these angels. This is a very sad Time in my life, but my “baby” has a very, very special Resting place. 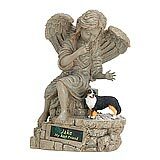 The Angel that goes beside his dads grave Is just awesome. 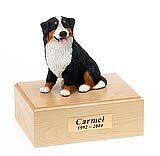 The beagle figurine looks just like Dusty (of course when he was younger) he was 16. I want to say, you have been so helpful and caring thru All of this and I thank you for that. Thank you for the Card also. 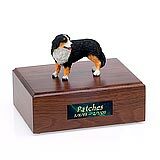 Your urns are so unique and whoever designed These really has a heart of gold." 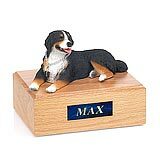 All available Bernese Mountain Dog dog urns and memorials will be displayed with the figurine on the Bernese Mountain Dog urn you select and in the appropriate size.